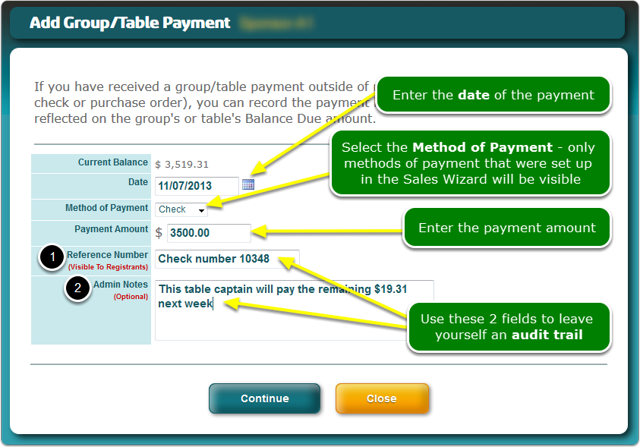 Help Documents - Version 5 Banquet Table WizardHow do I record a non-Credit Card payment for a table? Which tool do I use to record a non-Credit Card payment? On the Table Wizard screen, click the Manage Tables button. Zoom: Which tool do I use to record a non-Credit Card payment? 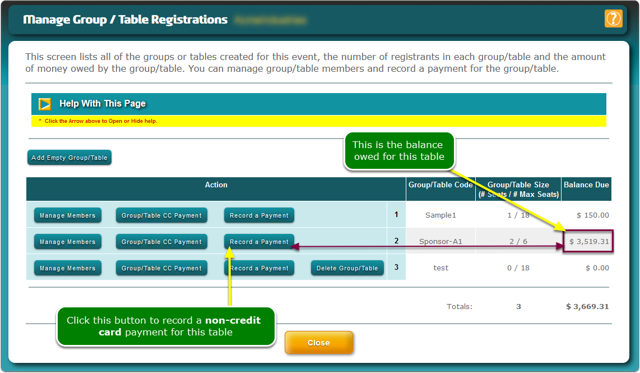 The screen will refresh to display the individual registrants for this table and the amount applied to their record. You can change the payment allocation if necessary. When the payment is recorded, a receipt is automatically emailed to the Table Captain. 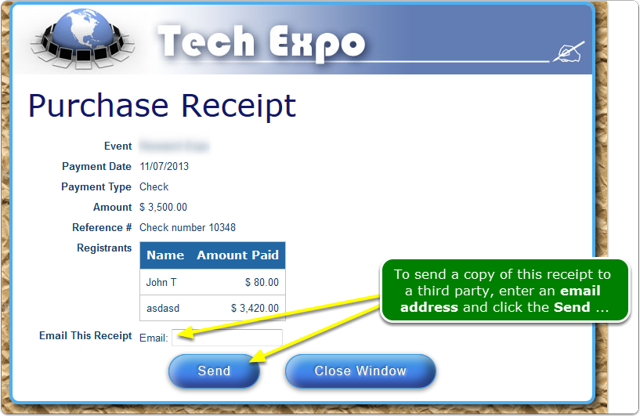 You can send the receipt to a 3rd party (such as the finance department, accountant, etc) by clicking the View Receipt button. 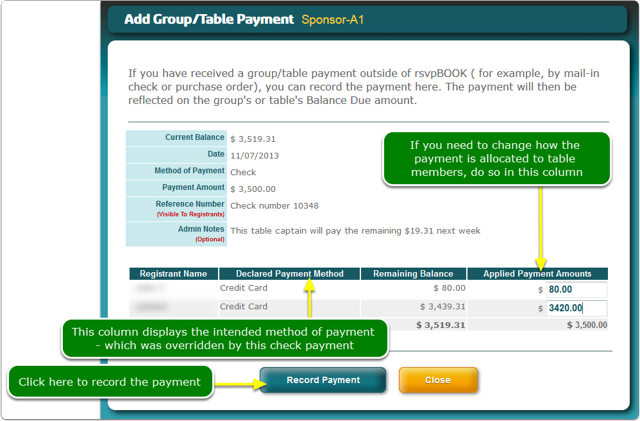 Prev: How do I record a Credit Card payment for a table? Next: How do I delete a table?